I am so happy and pleased with the services right from the beginning. 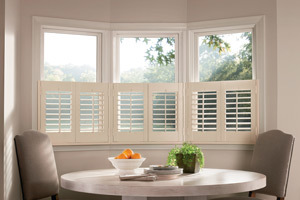 Phil was very knowledgeable and was very helpful and spent time explaining the different materials, types of shutters and all the options available to us compared with others I had seek quotes from. He kept to his promises of sending quotes, even visited our of hours to ensure it fit around my work life timetable. The workman ship and fitting was also exceptional. I have no fault and love and our new shutters. The service, attitude and professionalism shown by the Shutterhomes team was outstanding. We are absolutely thrilled with our shutters. Phil was extremely knowledgeable and patient when he came to quote and show us the products, his quote was extremely competitive and he assured an installation date before Christmas. The product is great quality and the fitting carried out by David was superb. The attention to detail was fantastic, and installation was carried out on the date promised. I cannot recommend ShutterHome Ltd highly enough, there really is no need to shop around - use them. Phil was extremely helpful and details were passed to me via another happy customer. He was very helpful from the start and even went out of his way to help me with advise and links with my Velux windows (which they don't specialize in). He has made our house into a home with what we ordered. Upon install the fitter was very professional and did an amazing job. He obviously takes pride in his work. The price of shutters normally is very expensive but Shutterhome Ltd really helped me with my budget and would strongly advise these guys to anyone. Very, very impressed. Everything from start to finish was perfect. They took so much care. My shutters look amazing. The shutters look amazing. Phil took the time to talk us through the different materials and was aware of our budget. There was no "hard-sell" and he thought carefully about our requirements. On the day of the fitting, Murray was excellent. He simply got on with the job with minimal fuss. We'll definitely be recommending ShutterHome to our neighbours. Very nice company to deal with. 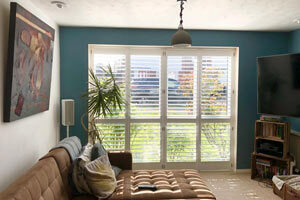 We are thrilled with our shutters, this is the second time that we have used Paul. You can be absolutely confident of their first class service. Dawid fitted our Shutters, his attention to detail is very reassuring, he is a real artisan and takes such a pride in his work. It is quite rare today to find such customer service, with first class crafts man who care about customer satisfaction, and all at an affordable price! We Highly Recommend Shutter Home. 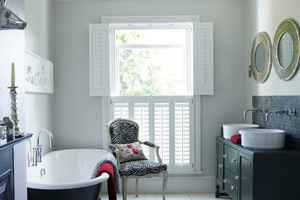 We have wanted shutters for quite sometime. We approached 3 different companies and The details for Shutterhome was given to us on personal recommendation. Paul came to visit us and his approach and understanding of our requirements, together with a competitive price, meant we decided to place our order with him. Dawid came to fit our shutters earlier than expected and he is a true craftsman and so very particular and precise - perfect! I would not hesitate to use Shutterhome again and I would recommend them to anyone who wants to make their home a bit more beautiful entrusting it to real craftsmanship. Everything was very good, I will be recommending them. Excellent service and fitting, would recommend.